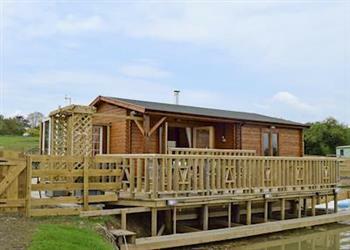 Robin Lodge at Sunbrae Holiday Lodges in Stoulton, near Malvern sleeps 2 people. Sunbrae Holiday Lodges near Malvern is a romantic getaway in a detached, Scandinavian log cabin which has its own private decking area overlooking a tranquil lake with an abundance of wildlife. These three properties (refs UKC392, W43950 [Hawthorn Lodge] and W44036 [Elderflower Lodge]) lie in the grounds of the owner’s home, nestled in 2 acres of private land. The private decking area is ideal for relaxing on and dining or barbecuing using your own barbecue, whilst enjoying the far-reaching views of Bredon Hill and the Malvern Hills. Each also has its own private fenced gardens and hot tub to sit and relax in under the stars. The holiday properties are set in the quiet village of Stoulton, with an 11th-century Norman church and many footpaths for walking and cycling. Attractions in the area include Capability Brown’s famous landscaped grounds at Croome Court, 4 miles, the attractive spa town of Malvern, home to the Three Counties Showground, Pershore, a market town on the River Avon with an imposing abbey, and Evesham, another historic market town with an abbey and good shopping facilities. Worcester is a cathedral and university city on the banks of the River Severn, and the famous towns of Stratford-upon-Avon and Cheltenham are also within easy reach. The shop is 1½ miles, with the pub and restaurant 500 yards from Sunbrae Holiday Lodges near Malvern. All the properties at Sunbrae Holiday Lodges near Malvern can be booked together to sleep 10 people. Robin Lodge is all on the ground floor. Living area: With wood burner, 50 Freeview TV and patio doors. Bedroom: With king-size bed and en-suite with shower cubicle and toilet. LPG central heating, gas, electricity, bed linen, towels and Wi-Fi included. Initial logs for wood burner included. Welcome pack. Shared laundry room. Enclosed lawned terraced garden with garden furniture. Shared 2 acre natural grounds. Hot tub. Private parking for 2 cars. No smoking. Please note: There is fenced lake in the grounds. Holidays at Robin Lodge, Sunbrae Holiday Lodges run from Friday to Friday. For a better idea of where Sunbrae Holiday Lodges - Robin Lodge is, you can see Sunbrae Holiday Lodges - Robin Lodge on the map below. 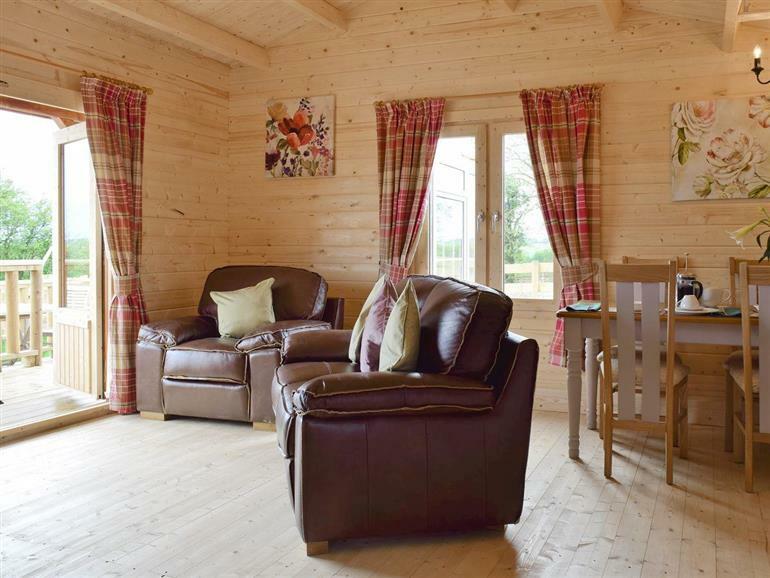 Sunbrae Holiday Lodges - Robin Lodge is in Worcestershire; should you be on the lookout for a special offer, you can find all the special offers in Worcestershire. It's always worth checking to see what is on offer at the moment. Do you want to holiday near Sunbrae Holiday Lodges - Robin Lodge (UKC392), you can see other cottages within 25 miles of Sunbrae Holiday Lodges - Robin Lodge; have a look to find your perfect holiday location.